A uniquely expansive and varied music program includes classes and performance opportunities in classical, jazz, rock, percussive, and vocal music, as well as music composition and technology. With the inspiration and personal guidance of our talented faculty, gifted musicians soar and beginners find the confidence to explore. IMS provides teachers for all instruments, and more than half of all students take private music lessons that are built into the academic day. All students in pre-kindergarten through grade nine participate in music classes at least once a week. By grade four, students can choose to play violin, saxophone, flute, trombone, or trumpet in an orchestra ensemble. 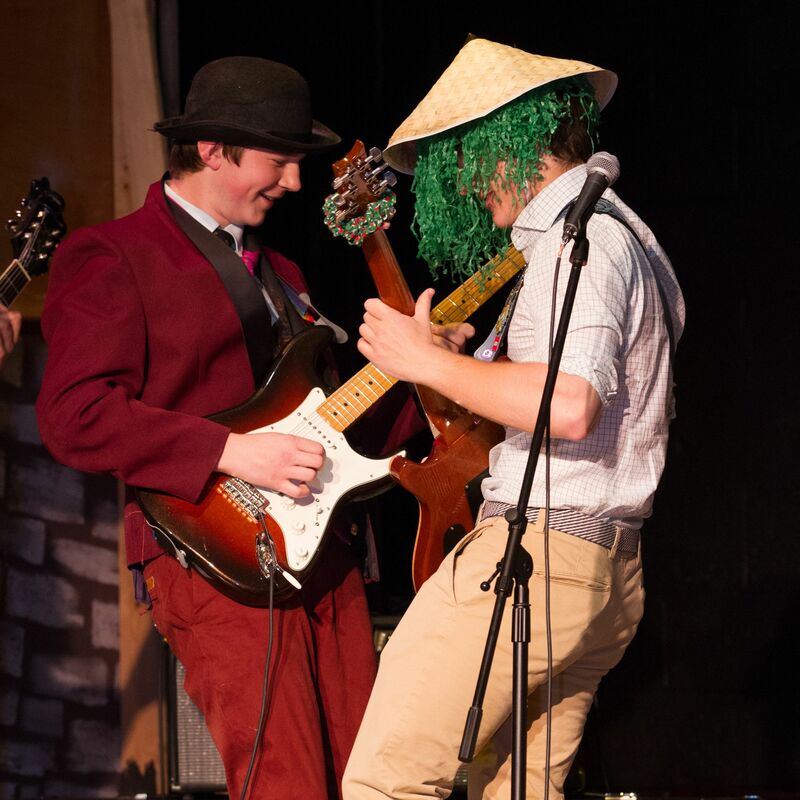 Upper Campus courses include music appreciation, music history, guitar, drumming, singing, and orchestra ensembles. We also offer after-school ensemble practice in jazz, rock, and classical music. A focus on music technology includes instruction in music writing and MIDI composition, a computer based accompaniment and integrated recording system. Ram started playing the bass at the age of sixteen. Though he had no formal training, he played in a rock & roll band at school functions and student parties, and later joined a group of established older musicians in a country band with paying gigs and recording sessions. Ram then enrolled at the Berklee College of Music to learn the language of music and improve his skills as a bass player. After Berklee, Ram performed regularly with several groups in and around the Tri-state area of the Berkshires in New England. In 1985, he moved to Los Angeles to study at the Bass Institute of Technology (B.I.T.). While at B.I.T., Ram found plenty of opportunities to play in recording sessions and gigs with rock, jazz, and other types of bands. Ram met Michael Tobias in 1988 through Gary Willis, who, at the time, was endorsed by Tobias basses. Michael made Ram his first five-string guitar. Soon after, he purchased one of Michael’s first fretless semi-hollow five-string bass guitars, which was the most amazing sounding bass he had ever heard. Ram has a new MTD Kingston six-string bass, a five-string (Tobias), and an MTD four-string. Ram also plays the upright bass and electric upright. City College of New York - B.F.A. Grisha Alexiev has been playing drums and writing music for 45 years. His performance experience with such varied artists as Archie Bell, Ken Werner, Sinfonia of Auckland (New Zealand), Sam Rivers, Randy Weston, Marty Ehrlich, Julius Hemphill, John Cage, Arnett Cobb, Muhal Richard Abrams, Anthony Braxton, and Richard Stoltzman has given him a unique and impressive style. As a composer,Alexiev has been commissioned by the Martha Boschen Porter Fund, numerous dance companies, Lehigh University, and Brevard College. He has also recorded on the Jazz Club, Rounder, Soul Note, and Mapleshade labels. In 1990, while a student at New England Conservatory of Music, Alexiev was honored with the Presser Award, a grant given annually to the most promising student at each of the conservatories in the United States. In 1994, Mr. Alexiev was the recipient of a National Endowment for the Arts performance grant, and he has received several Meet the Composer grants since 1996. He is co-founder of the Discovery Orchestra (with Neal Kirkwood), the Atomic Strings (with Sam Bardfeld), and, when not touring with Diana Herold, he leads his own 11-piece group, No Western Shirts. University of Oregon - B.A. College of Saint Rose - M.S.Ed. Anne earned a B.A. in music from the University of Oregon in 1977 and an M.S.Ed. in music from the College of Saint Rose in 1995. Her first teaching experience began at age 16, when she taught riding lessons and trained horses. She has been an organic vegetable farmer since 1982. The mother of two wonderful children, she began teaching music when the children were in school. Anne has been teaching choral, instrumental and general music in private and public schools since 1994. She performs traditional and contemporary music in the Kitchen Kaylie Band. At the Indian Mountain lower school, Anne enjoys bringing a broad array of musical skills and experiences to her students. Beth Craig is a frequent performer in the Berkshires area as a recitalist and with various groups. She teaches cello at several schools, including Berkshire Country Day School and Berkshire Music School in Pittsfield, MA. Composing and jazz are areas of special interest. Previously she performed as a member of orchestras in Brazil and the USA. Major teachers were Yehuda Hanani and Claus Adam. Julliard School of Music - M.M. Julliard School of Music - B.M. Judith received her Bachelor & Master of Music Degrees from the Juilliard School of Music where she studied with Robert Bloom & Sara Lambert. She has taught at the University of South Carolina and is currently on the faculties of the Hotchkiss School, Simon's Rock of Bard College. She is an active chamber & solo player and is currently a member of the ensemble Trio Sonata and the Galliard Woodwind Quintet. Vibraphonist and Percussionist Diana Herold received her two graduate degrees from New England Conservatory and Rice University. Adept at performing both improvised and non-improvised music, Diana has worked and traveled abroad with musicians such as Yo Yo Ma (Mark Morris Dance Company in Italy and at B.A.M. ), Anthony Davis (at the Banff Centre for the Arts) Alex Rostotsky (Jazz Town in Moscow), Proteus 7, Michael Rabinowitz (Bassoon in the Wild), and Xavier Cugat, as well as touring the United States with Grisha Alexiev, featuring her original music. She has also worked with various New York area musicians such as Dennis Mackrel, Buddy DeFranco, and composer Tania Leon, as well as with various ensembles such as Music From China, the Long Island Philharmonic, and the Brooklyn Philharmonic orchestra. Diana has performed on numerous Broadway shows and has been a substitute percussionist for the Lion King since its inception. She can be heard on recordings with John Lockwood, Michael Rabinowitz, Grisha Alexiev, They Might Be Giants, Tony Trischka, Brian Torff, and the Jazz Composers Alliance with Sam Rivers. Manhattan School of Music - B.A. Manhattan School of Music - M.M. Anton holds a Master of Music Degree from the Manhattan School of Music. He is the founding member and flutist of Trio Sonata, music for flute, oboe and guitar, with over 400 performances worldwide and four CDs. He has taught music at Rutgers University, the University of Connecticut, the Manhattan School of Music, and the Hotchkiss School. Currently, Anton lives in Lakeville, CT and teaches music at the Indian Mountain School. Peter has toured and recorded three CD's with blues master Clarence "Gatemouth" Brown and performed and recorded with the legendary modernist Thomas Chapin as well as minimalist Lamonte Young. Mr. McEachern received an artist fellowship in composition by the CT Commission on the Arts. In addition to teaching music and music technology and IMS, Peter is the Chair of the Music Department and Director of the Jazz Ensemble at Salisbury School, and has taught at the Litchfield Jazz Camp and the Academy of Music and Art in Hartford, CT.
Mr. Salamone is originally from NYC, and has performed in clubs, concerts, and cruise lines. He is a student of the music of the late and great Django Reinhard and performs his music regularly with his own trio. 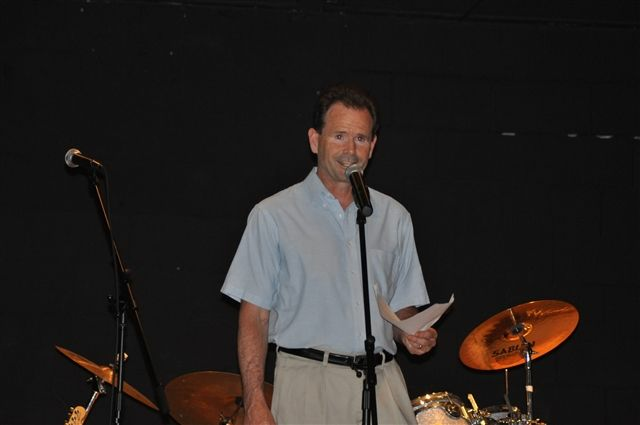 Joe has also performed with the Scott Heth Band and is a member of the Simsbury Symphony Orchestra. He teaches in a number of schools in the NW CT area. A graduate of Cornell University, Joanna has been teaching voice since 1992 after moving from New York City, where she had an active career in off-Broadway and regional theaters. In 1995 and 1996, she and her husband, pianist/composer Donald Sosin, traveled with the Broadway tour of "Joseph and the Amazing Technicolor Dreamcoat," training over 1000 children to act, sing, and dance. They have a CD, "Sail Away: Songs From the Heart of Broadway." Miriam Shapiro studied at the New England Conservatory with Dorothy Delay and Paul Cantor. She has been heard on NPR, and has performed with members of the Chicago Symphony, Boston Symphony, and New York Philharmonic. Miriam currently enjoys free lancing throughout the tri-state are in venues such as Ozawa Hall and Blantyre Castle. University of Michigan - B.M. Donald Sosin holds a Bachelor of Arts from the University of Michigan and a Master of Arts from Columbia University. Classically trained, Mr. Sosin's sophisticated jazz, New Age and classical sounds have been heard at many private and corporate parties in New York and Connecticut. Considered one of the world's leading silent film pianists, he is the resident composer at the American Museum of the Moving Image and BAM Rose Cinema, and plays each year at major film festivals here and abroad.